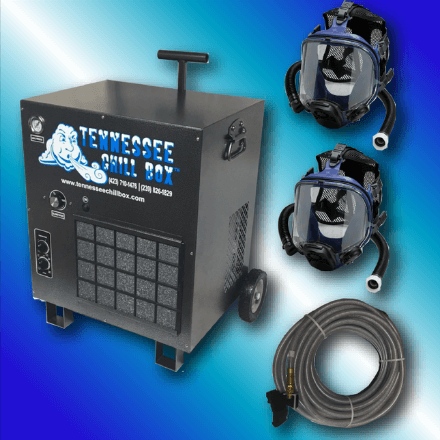 The Chill Box 8000 offers 40% more cooling capacity than the original CB 5000. Up to two (2) hoses may be used, and up to 200′ each with our standard kits. Powder Coat finish for Long Lasting Durability. All NIOSH CB8000 documentation, manuals and resources available HERE.